Fantech Premium bath fan with LED light, has aluminum housing for added durability. 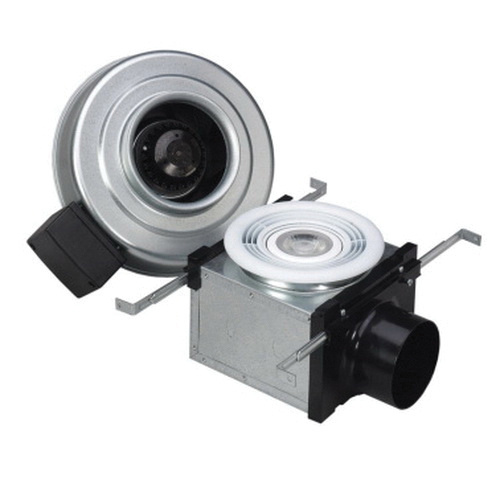 The fan with Class B insulation, runs at a speed of 2886 RPM and provides airflow of 139 CFM. The wall/ceiling-mount fan uses 10-Watt dimmable LED lamp. It has a voltage rating of 120-Volts, current rating of 0.18-Amp and power rating of 23-Watts. The bath fan measuring 8-3/4-Inch x 6-1/2-Inch, has 4-Inch duct. Premium bath fan meets HVI, cULus, ASHRAE 62.2, Energy Star and UL standards.